We love invitations that arrive by the glass. At a recent tasting of Sicilian wines, we became so enamored with the reds that we were poised to hop on the next plane to Palermo. The occasion was a visit by Fabrizia Lanza, author of “Coming Home to Sicily: Seasonal Harvests and Cooking From Case Vecchie.” Case Vecchie is the renowned cooking school she runs in north-central Sicily. The ruby-hued wines in the tasting were from her family’s wineries, Tasca d’Almerita, and dishes paired with them were recipes from her mother, Anna Tasca Lanza, who founded the school in 1989. These evocative pours are a glimpse of an emerging wine frontier with ancient roots. Sicily, at the toe of Italy’s boot, is the largest Mediterranean island. Ancient Greeks established settlements and promoted viticulture in the eighth century BC, calling it Trinacria after the land’s triangular shape. Once the granary of the Roman Empire, it remains an ideal climate for cultivating durum wheat for pasta, olive oil, and wine. To describe growing conditions as sunny, hilly, and dry only hints at the diverse climates and soils. A new generation of winemakers, many farming organically, are intent on allowing this terroir to shine, making the most of indigenous grapes such as nero d’avola, known for deep color and robust tannins; frappato for freshness and finesse; and nerello mascalese for a light body and lively acidity. 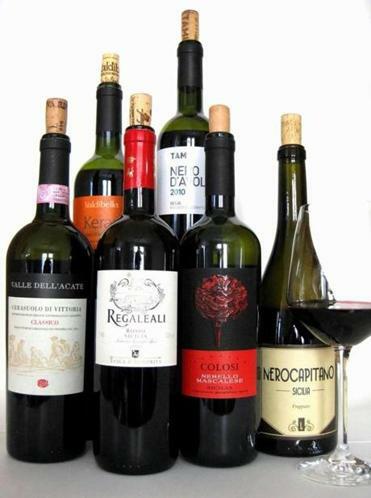 Peruse the Italian section of your local wine shop and you will see most Sicilian bottles labeled Sicilia IGT (Indicazione Geografica Tipica), the categorical equivalent of French vin de pays. Sicily’s one DOCG (Denominazione di Origine Controllata e Garantita), the most rigorous level of production regulation, is Cerasuolo di Vittoria, a blend of nero d’avola and frappato. An exciting discovery is a perfumed light-bodied red made from nerello mascalese. While this varietal is most associated with the slopes of Mount Etna, Europe’s largest active volcano, the bottle we tasted is made by an environmentally minded winemaker in Salina, a tiny island in the Aeolian Archipelago off Sicily’s northeastern coast. 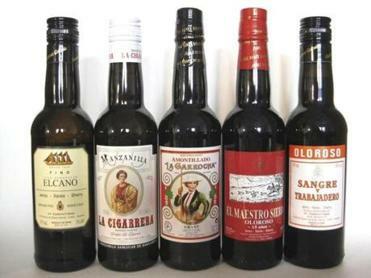 A growing number of enthusiasts are embracing the dry versions of this fortified wine from Jerez, Spain, even pouring it with hard-to-pair ingredients. Valdibella “Kerasos” Nero d’Avola A ripe and lively food wine with fine-grained tannins and a touch of appetizing bitterness. Around $15. At The Wine Bottega, North End, 617-227-6607; Formaggio Kitchen, Cambridge, 617-354-4750. Tami Nero d’Avola 2010 Inimitable natural winemaker Arianna Occhipinti makes this value line of wines from select grape growers. Savory high-toned aromatics overlay ripe red fruit, tart freshness, and food-friendly tannins. Around $20. At The Wine Bottega; Dave’s Fresh Pasta, Somerville, 617-623-0867. Valle dell’Acate Cerasuolo di Vittoria Classico 2009 Thirty percent frappato lends floral notes to this ripe medium-bodied nero d’avola blend. This wine calls out for eggplant caponata and a crusty loaf. Around $22. At Panzano Provviste e Vino, Southborough, 508-485-8884; Federal Wine & Spirits, Boston, 617-367-8605. Tasca d’Almerita Regaleali Rosso 2009 Beautiful aromas of fresh blackberry and plum. Lithe, balanced, and elegant, made primarily of nero d’avola. Stewed lamb with fresh mint (there’s a recipe in “Coming Home to Sicily’’) pairs marvelously with this. Around $15. At Martig-­netti Liquors, Brighton, 617-782-3700; Gordon’s Fine Wines & Liquors, Waltham, 781-893-1900. Cantine Colosi Nerello Mascalese 2009 Perfumed with fennel and floral, this pale, light-bodied red hails from Salina off Sicily’s northeastern coast. Terrific with salumi and first courses. Around $20. At Panzano Provviste e Vino; Vintages, Concord, 978-369-2545. Azienda Agricola Lamoresca “Nerocapitano” Frappato 2011 Pretty and seamless, this frappato — nerocapitano in the local dialect — is full of tart crushed strawberries, herbs, and silky tannins. A true gem. Around $30. The Wine Bottega; Lower Falls Wine Company, Newton Lower Falls, 617-332-3000.